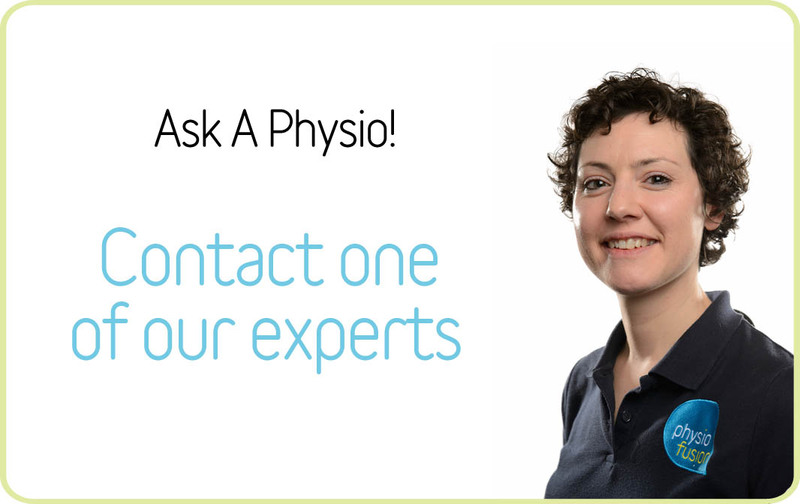 Shoulder pain is the third most common musculoskeletal reason people visit their GP. However an estimated 50-80% of people with shoulder pain do not seek medical attention for it. With shoulders it is important to treat the person and not the scan results, as there is poor correlation between imaging findings and symptoms. 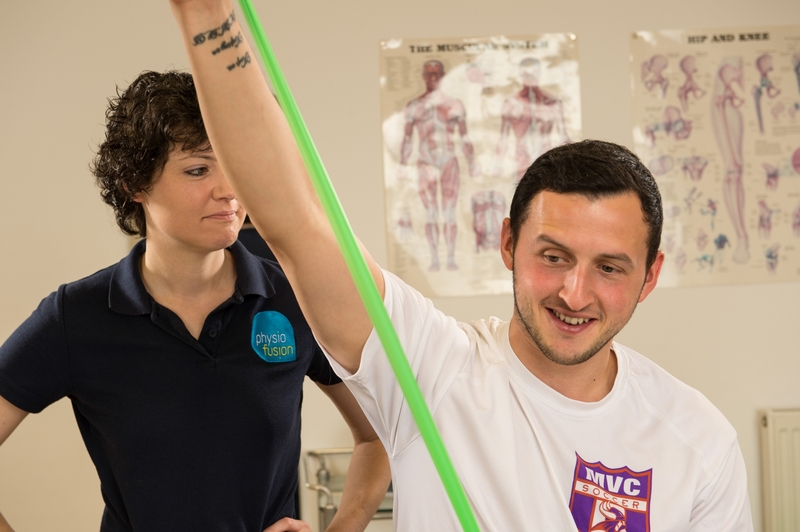 Exercise therapy has been shown to be as effective as surgery therefore Physiotherapy should always be considered. The Shoulder (Glenohumeral) joint is a ball and socket joint comprising of three bones: the clavicle (collar bone), the scapula (shoulder blade) and the humerus (upper arm bone). The joint is essentially an unstable joint owing to the size difference between the large humeral head (ball) and small glenoid (socket). For stability of the joint it is reliant on the muscles and ligaments surrounding it, therefore optimal muscle control is the key to a stable shoulder. 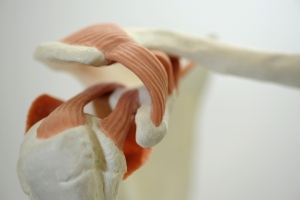 Due to the shoulder potentially being unstable, it is the site of many common problems. These can include dislocations, separations, tendinitis, bursitis, torn rotator cuffs, frozen shoulder, fractures, labral/capsule tears and arthritis. Over a number of articles I will discuss some of the shoulder conditions listed above. Frozen Shoulder is a very painful condition and has been said to be the most painful of shoulder conditions, in which the shoulder can become completely or partially stiff and unmovable. It can start for no apparent reason or after a traumatic event i.e. injury or surgery. Frozen shoulder has been linked to heart disease, diabetes, high cholesterol and Dupuytrens contractures. The lining of the shoulder, known as the capsule, is normally flexible. This allows the shoulder to have a great range of movement. What happens in frozen shoulder is the capsule and the ligaments become inflamed, swollen and contracted, meaning the range of movement is lost and pain sets in. 1. Freezing – Progressive loss of movement with increasing pain. Pain often worse at night. This stage can last from 2 – 9 months. 2. Frozen – Movement is very limited and can be approximately 50% less than the other arm. Pain may well have settled a little. This stage may last 4-12 months. 3. Thawing – Majority of people start to experience a gradual improvements in movement over the next 12-24 months. We will educate you correctly and issue you with an appropriate home exercise programme as this is critical to relieve your symptoms. Other treatment options available to you would be electrotherapy, acupuncture, soft tissue release, joint mobilisations and taping/strapping. • Do not ignore shoulder pain, even though it is common in society, it is not normal to have pain – seek advice as soon as possible. • Frozen shoulder is a problem we want to catch and sort out as quickly as we can, as it can potentially get much worse and become a problem for many years – so again, do not hesitate, seek help straight away. • The shoulder joint is a very complex joint and doing the wrong exercises could be detrimental to your healing process, therefore seeking a physiotherapist’s opinion can be vital for successful rehabilitation. Kayleigh Vickers qualified as a Physiotherapist from St. Martin’s College, Carlisle in 2007. 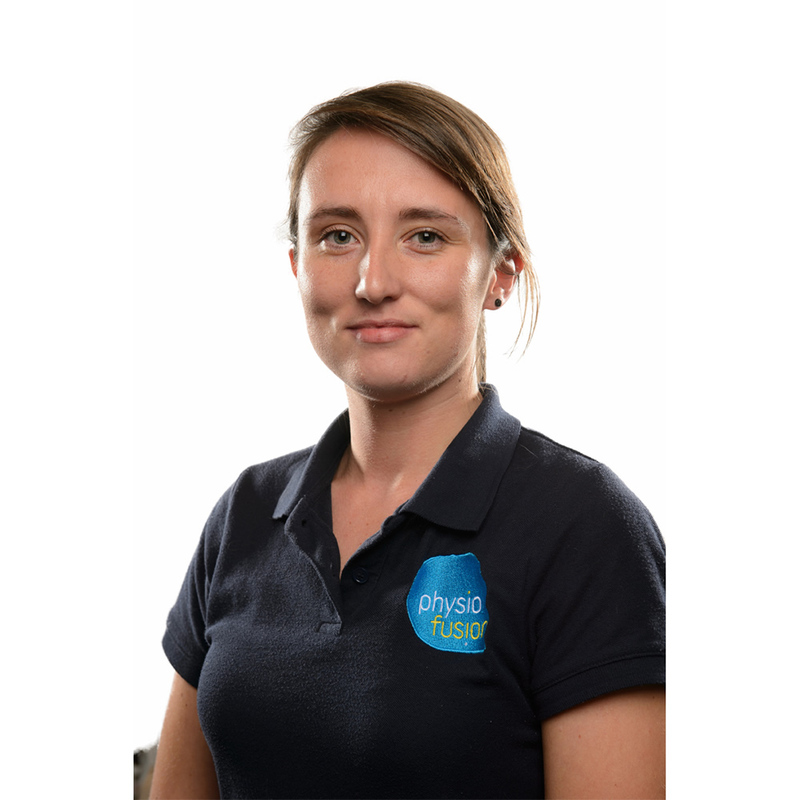 She started working at Physiofusion in 2014 and works in the Burnley, Padiham and Barnoldswick clinics. Kayleigh plays midfield for Pendle Forest Sports Club where the team has just won the league and hope for promotion after play-off games.